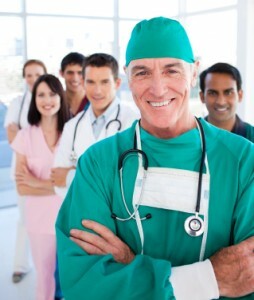 A surgical hospital specializes in surgical procedures. They may be physician-owned, part of a larger health system or owned by a third-party. They are licensed as a limited services hospital and bill and collect hospital-based reimbursements. Ambulatory Alliances is at the forefront in providing surgical hospital advisory services about mergers and acquisitions to hospital health systems, physician owners, management teams, equity investor board of directors, court appointed trustees, landlords, private equity groups, creditors and consolidators. We take a thorough and strategic approach to analyzing the business, recommend responses to increase value and then lead the execution of the agreed upon solution. We work with our clients throughout the transaction and beyond. Want help with the sale of part or all of a surgical hospital? We have worked with various physician-owned healthcare organizations to determine the most advantageous time to sell. This includes how to get the best fair market valuations, EBITDA and sales price multiples in addition to resolving operational issues that impact the business’s value. Advisory services include sell-side and buy-side M&A, strategic alliances and joint ventures, workouts and turnarounds, valuations, the assessment and evaluation of strategic alternatives, and the raising of equity or debt capital from sites such as local and commercial banks, finance companies, hedge funds, private investors, private equity and subordinated/mezzanine debt. If you want to make complex surgical hospital deals, then you should look for a company with significant experience, highly-honed negotiation skills, in-depth industry knowledge, operational expertise and close relationships to healthcare organizations within the industry. That partner is Ambulatory Alliances.